Home based franchises are businesses you can run from a home office, can be managed over the phone or online, and require little-to-no traveling or client interactions. A home based franchise may be a full-time business or simply a side income stream. We’ve narrowed down a list of the top 25 best home based franchises. If you’re wondering how to fund your home-based franchise and have at least $50,000 in a retirement account, consider a Rollover for Business Startups (ROBS). A ROBS lets you use retirement money to fund a new business without paying early withdrawal penalties or taxes. For more information, Guidant, our recommended ROBS provider, offers a free one-on-one consultation. We spoke with FranchiseGrade.com and received data on the best-performing home based franchises. We chose the top 25 home based franchises across a range of industries, and have them listed here from lowest to highest minimum initial investment. We also break each of the 25 down by industry. Let’s now look at a breakdown of the top 25 home based franchises by industry. This should give you a better understanding of which one is most suitable for your specific needs and interests and help you choose a franchise. One common type of home based franchise is to sell tools and hardware equipment from your home office or online. With this kind of franchise, you sell tools directly to B2B customers like automotive shops. As a mobile business, you are expected to travel to your recurring clients on a consistent basis to let them restock on the tools they need. Matco Tools is a manufacturer and distributor of professional quality mechanics tools and equipment. They service both retail shops and individual consumers. Matco offers an in-house financing program that can cover up to 100% of start-up costs for those who qualify. They have full and part-time franchise programs available and provide training and support. They do not charge advertising or royalty fees. 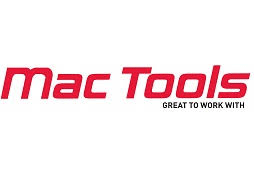 Mac Tools is a worldwide supplier of automotive hand tools, tool boxes, power tools, electronics, and shop equipment. They serve commercial, government, and student tech clients. They offer a mobile franchise opportunity, provide training and marketing support, and a step-by-step plan of a successful business model. They do not charge advertising or royalty fees. Snap-On Tools offers high-quality tools and premium products that are sold by dealers (franchisees). They serve industrial, government, and individual clients. They have more than 19,000 products and operate in more than 130 countries. The business started franchising in 1991 and currently has over 3,000 franchises. Repair, maintenance, and construction franchises are not literally “home based” because you or your employees need to travel to do on-site repair and maintenance. However, there’s no need to rent a commercial space. Instead, you can operate directly out of your home and even send your employees out while you take care of administrative tasks. Colors On Parade is an automotive repair service that performs onsite repairs for minor automotive damage, such as scratches, dents, dings, tears, and nicks. Previous automotive repair experience is not necessary to start a franchise with Colors On Parade since they provide all the necessary training for their systems, including techniques and processes. Kitchen Tune-Up offers kitchen and bath remodeling services and specializes in cabinet reconditioning and refacing. They offer wood restoration and repair for both residential and commercial customers, including finish recoating, door replacement, and a branded line of custom cabinets. They started franchising in 1988 and provide ongoing training, business coaching, and support to franchisees. 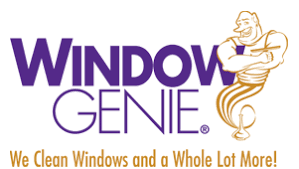 Window Genie specializes in window cleaning, window tinting, pressure washing, tile and grout cleaning. They also offer routine maintenance such as gutter cleaning and snow removal. They provide complete training for franchisees and lead technicians at their in-house window wall training center, including grand opening assistance and ongoing field support. 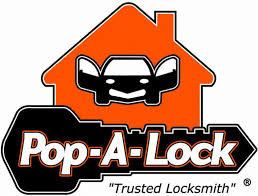 Pop-A-Lock is the country’s largest group of franchise locksmiths, car locksmithing, and roadside assistance providers. They offer services such as lock installation, lock rekey, key duplication and creation, lockout service, and automotive smart key duplication. Pop-A-Lock provides continuous franchise support and technical experience is not necessary. CertaPro offers interior and exterior painting services for both residential and commercial clients. They started franchising in 1992 and provide top-notch support and flexible training. They provide a scalable business model, comprehensive data system, and a variety of local marketing tools that can help drive leads. Tailored Living offers high-quality organization and storage solutions to homeowners for their garages, closets, pantries, family rooms, and home offices through complimentary in-home consultations. They provide complete design, measuring, and installation services based on each client’s specific needs. They started franchising in 2006 and offer in-house financing to cover their franchise fee. Most home services and cleaning franchises can be managed from a home office, although you and/or your employees will need to travel to a client’s location to do the servicing or cleaning. You can send out your employees to do the actual cleaning services while you run the business from your residence. Pillar to Post is a professional home inspection franchise in North America. They conduct home inspections for real estate investors and homebuyers. They help homebuyers and real estate professionals understand the conditions of the house structurally, functionally, operationally, and environmentally. They provide in-house financing to cover their franchise fee and also provide ongoing training and marketing support for franchisees. MaidPro offers professional residential cleaning services. They provide franchisees with a state-of-the-art software, 24/7 support, creative marketing, powerful recruiting tools, established brand-identity, proven business strategy and more. MaidPro either offers in-house financing to cover franchise fees and startup costs or they can help you get financing from third-party sources. 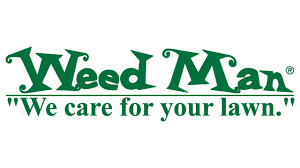 Weed Man provides lawn care services. Their services include weed control, bermudagrass control, crabgrass control, fire ant management, flea and tick control, lawn fertilization and seeding, mechanical core aeration, and more. They provide ongoing training and marketing support for franchisees. They also offer in-house financing to cover their franchise fee and startup costs. Fitness and sports franchises are the types of franchises that you can run either from home or on site. Recreation franchises like Cruise Planners can be run entirely from home without the need to travel and meet clients. These recreation franchises are usually travel agencies that help arrange travel plans, book vacations, and schedule cruises for clients. Cruise Planners is an American Express travel representative that offers a low cost franchise opportunity with a home-based business model that requires no travel experience. They connect both business and leisure travelers with their ideal cruise. Aside from cruises, they also provide services to help travelers plan their land vacation. Cruise Planners started franchising in 1996. American Poolplayers Association (APA) operates an organized league for amateur pool players. Members participate in annual 8- and 9-ball championships, pay a yearly membership fee to the APA, and pay a weekly fee to the League Operator (franchisee) each time they play. Training for new League Operators is provided. The initial franchise term is a 2-year conditional period, which can be extended to a 5-year regular term if you meet certain requirements. 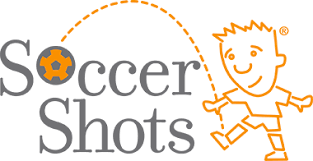 Soccer Shots offers premier and engaging soccer programs for young boys and girls that focus on soccer skills and character development. It offers clinics for 2- to 8-year old kids and provide best-in-class coaching, communication, and curriculum and aim to impact children’s lives, both on and off the field. They provide franchisees with a low cost, high profit margin business model, a proven sales system, technical assistance, and marketing materials. 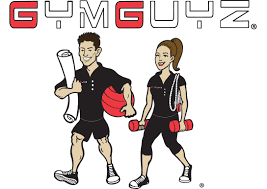 GymGuyz is an in-home personal training franchise whose main focus is individualized one-on-one fitness as well as group sessions and corporate fitness. They have a team of certified personal trainers that use a unique philosophy that targets all aspects of health and fitness. Franchisees do not need to have a fitness certification, however, basic knowledge and passion in fitness is a plus. 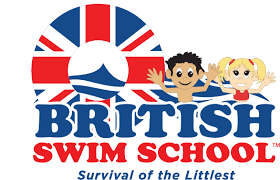 British Swim School is a franchise that holds swimming lessons designed for either babies, children, and adults. They offer low overhead and the possibility for high returns. British Swim School help franchisees find pools using their exclusive relationships with national fitness chains and hotels. They will also show franchisees how to operate the business and provide them with training on teaching swim lessons. Kids and education franchises offer play and learning services to children which can be run from home. These franchises would require you to travel and meet your clients from time to time to provide the services. Although these are education-relation, teaching background is not really needed as all necessary training is provided by the franchisors. 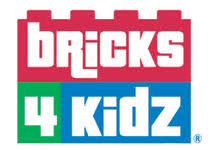 Bricks 4 Kidz offers Lego-brick building activities designed by engineers and architects in after-school classes, preschool classes, summer camps, and children’s parties. Classes are designed to teach the fundamentals of science, technology, engineering, and mathematics, allowing kids to learn through activities that engage their curiosity and creativity. 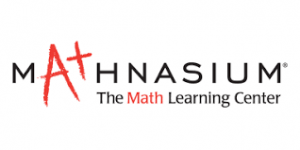 Mathnasium Learning Center offers quality math tutoring to help give grade-school children a better foundation in math. This franchise opportunity is an excellent blend of owning a business while making a positive difference on children. Franchisees don’t need to have teaching experience because they offer franchise training. Pet service franchises, such as dog training and pet food delivery, are businesses that you can run from home. Dog training services will require the franchisee to attend an intensive training program and earn a dog training certification. Pet food delivery services is a mobile franchise where you delivery fresh pet food to your client. 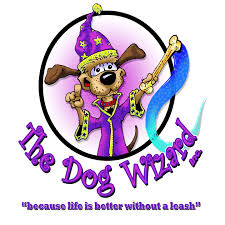 The Dog Wizard offers dog training services such as obedience training, problem-solving, separation anxiety management, socialization, agility, aggression rehab, and rescue rehab. The Dog Wizard training franchise opportunities are backed by extensive online and hands-on training where franchisees will obtain dog trainer certification. This franchise opportunity is best for dog lovers. 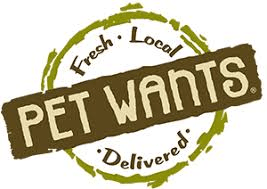 Pet Wants offers the delivery of fresh, high-quality, nutritionally complete and balanced pet food. They offer both mobile and store franchise models. The mobile franchise model offers delivery only while the store franchise model offers both retail and delivery. Franchisees don’t need prior experience in the pet industry as they provide franchise support and training on marketing and operations. Other home-based franchise opportunities include things like weekly newspaper distribution services, commercial landscape maintenance services, non-medical senior home care, and mobile shaved ice desserts. These franchises are considered home based because they can be operated out of your house. However, you or your employees might need to travel to offer some of your services to clients. Coffee News is the world’s largest weekly restaurant publication. They are distributed at restaurants and provide the readers with interesting content to read while they wait for their food. This is a franchise opportunity that can be run entirely from home. Coffee News provides startup training and ongoing marketing support to franchisees. U.S. Lawns offers landscaping services for commercial property owners and managers. Their services include landscape maintenance, landscape improvements, snow and ice management, lawn care, tree care, irrigation, and more. They provide franchisees with intensive training and offer ongoing support. Prior experience in landscaping is not necessary. Seniors Helping Seniors offers companionship, nonmedical home care, and home maintenance services to seniors who need help in their homes. These services are provided by other seniors and not by younger caretakers. This home based franchise opportunity allows you to help others while making money. Seniors Helping Seniors provides the necessary training and ongoing support to make your franchise a success. 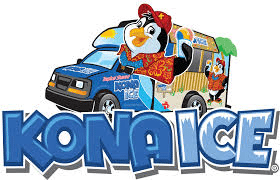 Kona Ice is a mobile franchise opportunity that offers shaved ice and frozen desserts to various events. Because this is a mobile business opportunity, there’s no need to rent a place to run this franchise. Kona Ice provides an in-depth, hands-on training experience at their corporate headquarters. Ongoing support is also provided to franchisees. There is a variety of franchise opportunities that can be operated and/or managed from home, including repairs and maintenance, travel agencies, B2B, cleaning services, tools and hardware merchandise, and mobile food services. But take your time, do your homework, and avoid common franchise mistakes. Make sure you consider the franchise industry as well as the startup costs when deciding which home based franchise is for you. 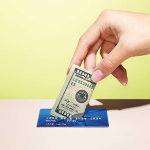 If you need franchise financing, remember that you can use your 401k or IRA to fund a startup if you have at least $50,000 in your retirement account. By doing a Rollover for Business Startups (ROBS) to fund your home-based franchise, you can tap into retirement savings without paying early withdrawal penalties or taxes. Visit Guidant, our recommended ROBS provider, to learn more.